"My idea of heaven is a great big baked potato..."
My idea of hell is a non-stop Oprah marathon. HOW DARE YOU MAKE FUN OF ME! 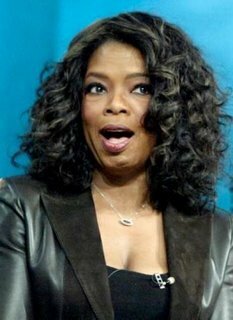 I AM OPRAH! HEAR ME ROAR! OPRAH! FAVORITE THINGS! I WILL BE THE QUEEN OF THE WORLD! OPRAH!